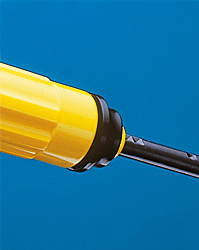 Light weight handle for comforrt and ease of use. Blades are stored inside the handle. equipable with all GRAT-TEC blade holders. with magazine for spare blades in back cap. 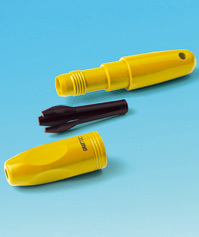 Ergonomic GRATTEC plastic handle with soft finger groove. with blade housing for blades type "E" (shaft-Ø 3,2 mm) and "B" (shaft-Ø 2,6 mm).